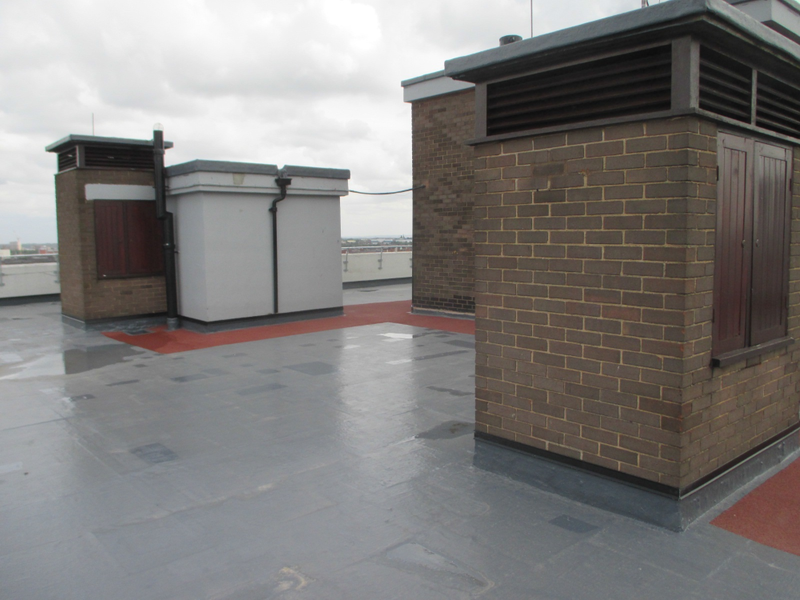 The existing system was made up of asphalt and solar reflective chippings onto a concrete deck. The system had failed and extensive repairs were proving to be ineffective. Preparation of the roof involved removing the chippings, power washing the area in order to reveal a clean surface for inspection and repair where required. A 90mm Sika Decotherm Flat Insualtion was laid followed by a carrier membrane to ensure the smoothest, most consistent finish was achieved. 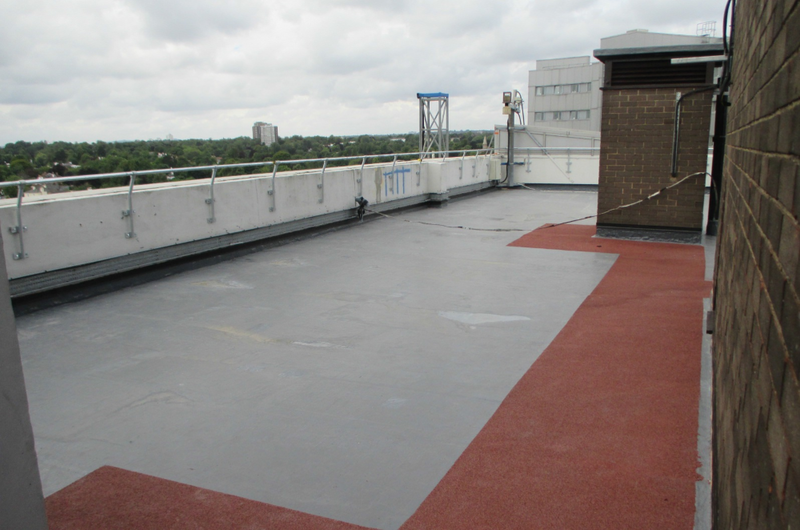 The Decothane Base Coat was applied strengthened by a Sika Rematt Premium Glass Fibre Matting. The Top Coat was then applied to all areas including up stands and details, some of which are difficult to waterproof using more traditional methods, but liquid plastics can be easily applied ensuring a watertight seamless finish. 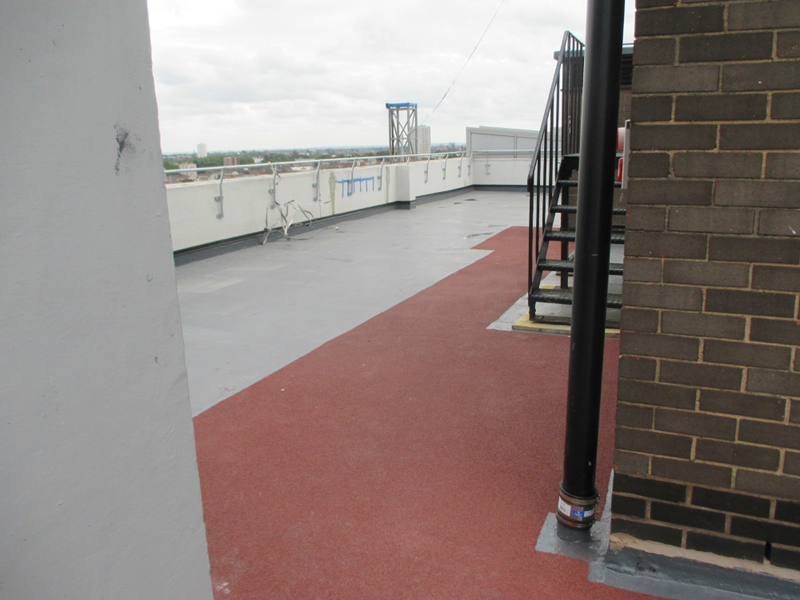 The roof was completed with a red anti-slip walkway to the designated fire escapes and maintenance routes. Surface Protection Coatings Ltd are a Quality Assured (QA) Contractor and therefor the system is backed by a single point 20 year guarantee.